The Boston Red Sox pitching has been spectacular over the early portions of the season posting a team ERA of 3.43, ranking third best in the league. The Sox pitching have kept them in ballgames while the offense continues to struggle to fill the gaping hole in the middle of the lineup. The Red Sox sit at third in the competitive AL East with a record of 16-14. Out of the 30 games played, Red Sox starters have produced 18 quality starts. Newly acquired Chris Sale has shined with six quality starts, only to come out with a mere two wins. Rick Porcello, reigning AL CY Young winner, sits in the same boat with six quality starts resulting in two victories. When the starting pitching is shaky, the Red Sox have relied on their dominant bullpen as three relievers – Heath Hembree, Craig Kimbrell and Robbie Scott – have posted a 1.35 ERA or lower in a minimum of 12 appearances. 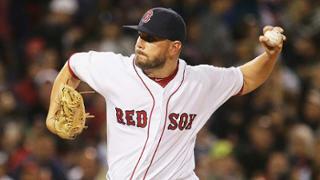 The Red Sox relievers must maintain the dominant performance to turn the season around. The Red Sox Sox have played in 23 games this season decided by 3 runs or fewer, winning 12 of those decisions. 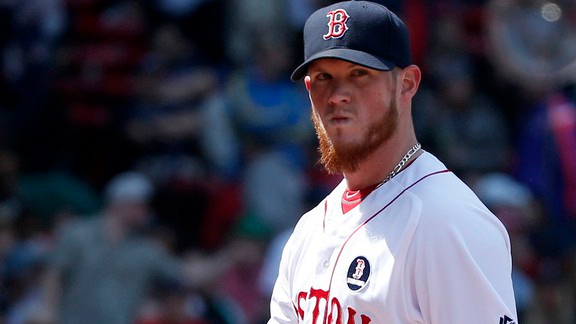 Kimbrel leads the majors in saves with 10 along with an astounding 24 strikeouts in only 13.1 innings of work. In 267.2 innings of work as a unit, the Red Sox staff has only given up 85 walks while producing the fourth most strikeouts in the league at 284. With the significant loss of Steven Wright for the season to a knee surgery, the Red Sox are patiently awaiting the return of David Price. The offensive struggles remain to be a broken record, as the Red Sox have only pushed across 121 runs, which ranks 23rd. About a month into the season, the lineup continues to struggle with the departure of the David Ortiz. The evidence can be seen in the modest 22 long balls produce by the Red Sox bats. Andrew Benintendi, the power packed young prospect, has been one of the most consistent hitters in the lineup with 37 hits, 4 dingers and a .319 average. He is the player to watch in the Red Sox lineup as they continue their series against the Minnesota Twins.